There’s a reason why I launched a facial specifically for the transition period into new seasons. Skincare products need to be rotated seasonally in order to provide the required level of protection against differing seasonal elements. Environmental Ageing: What Is It and How Do I Help Prevent it? Environmental ageing is caused by daily exposure to UV rays, toxins and other pollutants which damage our skin by inhibiting collagen production and causing wrinkles, age and sun spots. High-energy visible light is the latest buzzword in beauty – Why? Because HEV could be as damaging to our skin as sun damage. Scarily, it’s emitted by our television screens, smartphones, laptops and iPads. Did you know that within the animal kingdom we’re naturally drawn to confidence because it exudes courage, positivity, strength, leadership, power and knowledge? 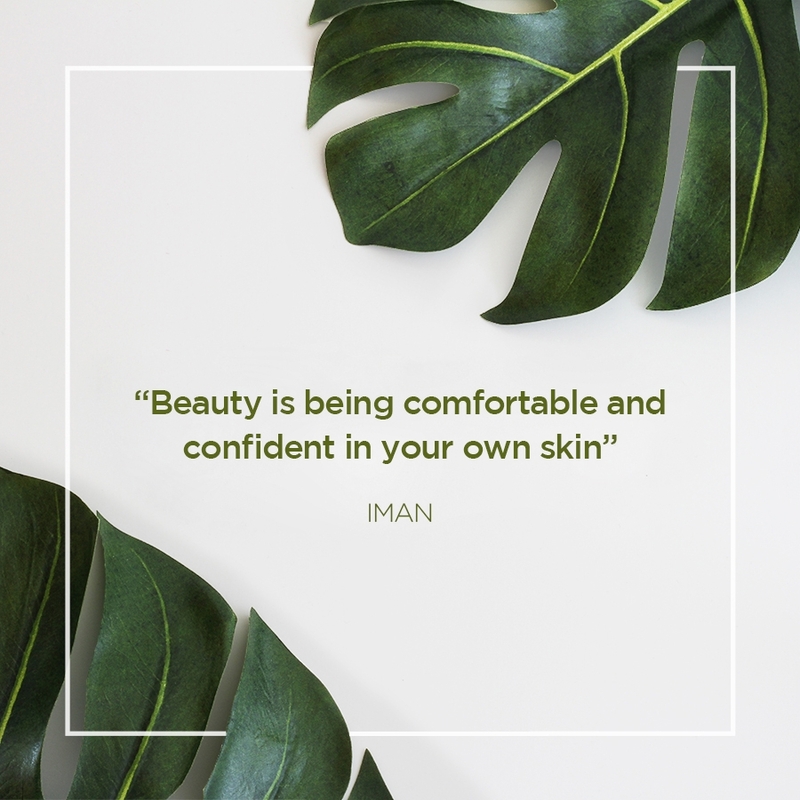 That's why feeling beautiful and confident in your own skin is so beautiful. Can acne and other skin conditions affect your self confidence? The short answer is, absolutely! During my many years as a skincare expert, I’ve been lucky enough to see time and time again just how powerful achieving clear skin can be for former sufferers of all genders. When I first started blending 100% natural oils to create intelligent formulas to treat, nourish, balance and perfect all skin types, my vision for the Antonia Burrell Holistic Skincare brand was simple: to create a brand that’s continuously inspiring happiness, self esteem and skin confidence through life changing products. Our modern lifestyles can put further pressure on all of us to make us feel like we have to look our best at all times. Whether that be for snapshots of our week day adventures, talking with our new crush on FaceTime or taking a Friday night selfie with friends. Seeing the incredibly inspiring life changing transformation in one of my early clients when we finally treated and cured her skin of acne really fuelled my passion in creating a luxury skincare brand which inspires happiness through skin confidence. A once self-conscious and quiet being transformed before my very eyes into a more confident, happy and outgoing version of herself. Acne can have serious social and psychological effects. Once a problem associated with those already insecure teenage years, the rise in adult acne is gaining momentum at a shocking rate due to environmental factors, toxic diets and hasrsh ingredients in non-natural skincare products. Whatever the age of a sufferer, apart from the obvious self-esteem issues, acne can also make it difficult for to form relationships, resulting in more shy and reclusive behaviours. The best way to cure acne is to understand the type of acne you have. What are the two main types of acne? Hormonal – these breakouts normally occur around the mouth, chin and jaw area. Symptoms may get worse the week before your period. Cystic acne – caused by severe infection of bacteria clogging the pore. The first step to being able to clear your skin of acne is to book a facial and/or skin consultation with a skincare expert. They will be able to assess which type of acne you have, so that you can make the necessary lifestyle and skincare changes to help treat your skin effectively. Invest in your skincare routine: natural products remove excess oil, dirt and debris from deep down in your pores without stripping your skin of natural oils, allowing your skin to balance its pH level for calm, happy and nourished skin. Did you know that those pesky dark circles around your eyes are most likely caused by genetics? Fear not. Read on to discover the 4 common culprits causing those dark circles. How Does Oriental Asian Skin Differ From Other Skin Tones? During our summer skin series, we're looking at all skin types and all skin tones. So, how does Oriental Asian skin differ from other skin tones? Oriental Asian skin have thicker and tighter dermis than white skin, meaning Asian skin develops fewer facial lines and wrinkles, have a higher level of casual lipids and retain more moisture in the epidermis (stratum corneum) than white skin. White Skin: How Do Paler Skin Tones Differ? The specific skin colour of people with white skin is determined mainly by the bluish-white connective tissue under the dermis and by the hemoglobin circulating in the veins of the dermis. So, how do pale skin tones differ? Generally, dark skin tones retain more moisture in the epidermis (stratum corneum) than white skin, meaning pale skin is often more susceptible to dehydration. Dark skin has thicker and stronger cells with the ability to maintain higher levels of moisture. The increased desquamation (skin shedding) in black skin generally reveals more radiant glowy skin rather than the dull and matt complexion often associated with light skin tones. With our high-stress city lifestyles overflowing with work commitments, dating and or maintaining an active social life, it can be challenging at times to ensure we’re getting the vitamins and minerals our bodies need every day. DIY organic smoothies or juices bursting with skin-enriching vitamins and minerals are a great way to start the day right with the majority of our five-a-day in one. Read on to discover the ultimate happy skin juice recipe. What’s the ACTUAL Difference Between Different Skin Tones? Black and Asian skin have thicker and tighter dermis than white skin, meaning black and Asian skin develop fewer facial lines and wrinkles, have a higher level of casual lipids and retain more moisture in the epidermis (stratum corneum) than white skin. Additionally, black skin has 50% lower ceramides that white or Hispanic skin tones, whilst Asians have the highest ceramide levels. Ceramides are the fats that contribute most to skin hydration, and play a vital role in structuring and maintaining the water permeability barrier function of the skin. Specific antioxidants have proven to be protective of the skin, acting just like a sunscreen. Our skin is so intelligently designed that when the sun’s UV rays hit it, the antioxidants that are in the body move upwards and form a protective shield that acts just like sunscreen.